As the further scholars say about the unification of Koreas, "it seems that the system of North Korea does not work due to failure". "North Korea abruptly disappears, and fast" said the experts. As a result, Korea should take over North Korea, so the cost for unification that Korea should take over increases greatly. As described above, since China who abruptly appeared as a super power in the world will not positively take part in the unification of Koreas due to an inappropriate economical burden to be caused by means of a bubble economy of China, so it is possible to expect that China won't stay under the environment of Koreas based on a geometrical limit. Furthermore, since the Korea's economy development rate might fall down at a high possibility due to the cost for unification in view of the economic frame of Korea based on the world economy situation, it can be assumed that the neighboring countries might welcome such situations, so the paradigm to be valuable for a study in the frame of one world economy in the course of unification of Koreas should not be neglected. In the present article, it is suggested that a no-blood absorption unification is possible with the help of self-corruption in the book "New unification theory" in view of the international political situations with respect to the unification procedure of Koreas through the books written by the researchers. For the above suggestion, the three-stage theory is needed as big presumptions. The three-stage corruption stages consist of a first stage: economic corruption from the isolation from economy, a second stage: military collaboration after the death of Kim, Jung-il, and a third stage: a corruption procedure due to big earthquake. The nine stages of the new unification theory are as follows by reforming the combined multiplication. The first stage starts from "the increase of international terror due to the isolation of North Korea, and the second stage means the reason of "the system corruption of North Korea occurred due to the sudden corruption". Here, the three major reasons of the sudden corruption are as follows. First, the big earthquake in the strait of Tsushima, and second the leakage of nuclear radiation from the Young by un along with the earth quake of Koreas, and third the big disaster in Koreas. It might be assumed that the above-presumed stages might be reversed. At this situation, in the third stage, Kim Jung-il dies or escapes, and in the fourth stage, a temporal North Korea's military government is set, and in the fifth stage, a full war begins between Koreas. In the sixth stage, a no-blood war based unification is obtained. The important factor of the local instability in the course of the unification is the seventh stage in which an overture so-called the increasing conflict between religion of Koreas(resurrection of world end theory). In the eighth stage, it will face a great peninsular revolution. Through the unstable social structure, in the ninth stage, it will face a pacific-ocean era about the peninsular in 21st century. Concerning the above assumptions on the situation development of Koreas, The US professor Ferguson said as follows in the article called "new 10-years, the reunification of Koreas will be the biggest historical event in the world." Korea is called like a walnut in the walnut cracker, namely, between two super powers of China and Japan. What strategy should Korea follow? The nation stuck between two super powers might be look disaster like Poland and Korea experienced in the past. The best way is to have the sincerest friend apart from this region. Globalization is good for Korea. Since the power is distributed globally, it is possible to make the influences of the neighboring countries weaken. The best strategy that Korea can select is good for Korea as globalization is widened. If the Asian imperialism appears, such situation is not good for Korea. As a measure for the above opinions, the Korean MB government proceeds with the following globalization measures. 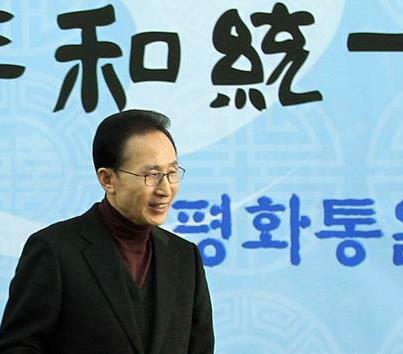 So, it is needed to introduce World Rehabilitation Organization(WRO) to Koreas including the world human right of human being dignity in order to cope with the black hole which means the upcoming economical, social and political confusion and is to cause the changes in four super powers and the unification of Koreas based on the decrease of the United States(decrease of pax-Americanism along with the world finance system down), so the world vision for globalizing the nation is absolute, and the MB government is a nation who proposed the UN WRO passed in the 6st UN meeting in December 13, 2006 with respect to the inherent agenda called World human right nation when exploding Koreas as the center nation of world. In order to introduce the UN WRO to Korea, many countries are struggling to host the same with respect to 198 nations including Mexico.